This mission statement was crafted collaboratively by students, teachers and parents and lies at the heart of our school accreditation plan and our Local Control Accountability Plan (LCAP). 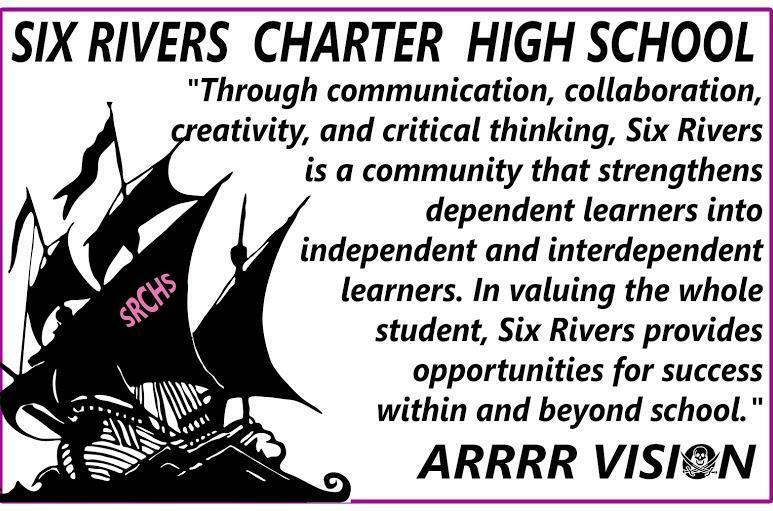 The mission is driven by Six Rivers’ emphasis on the “High C’s” , communication, collaboration, creativity, critical thinking, and community. With this in mind, Six Rivers actively seeks the input of students through our Pirate Council and Parents though the Parent Advisory Committee.